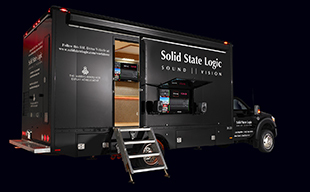 OXFORD, ENGLAND  Solid State Logic, the worlds leading manufacturer of analogue and digital audio consoles, is pleased to announce that Peter Luts has installed a Solid State Logic Matrix, X-Rack and X-Patch as the heart of his home studio. The prolific Belgian dance producer first rose to prominence as a key creative force behind such global superstars as Ian Van Dahl and Anna Grace, as well as his own project, Lasgo, whos debut single Something sold over five million copies. Also an in-demand remixer, Peters discography reveals a prolific desire to produce music and a hectic workload, which drove him to explore ways to improve his workflow and expand his sonic palette.